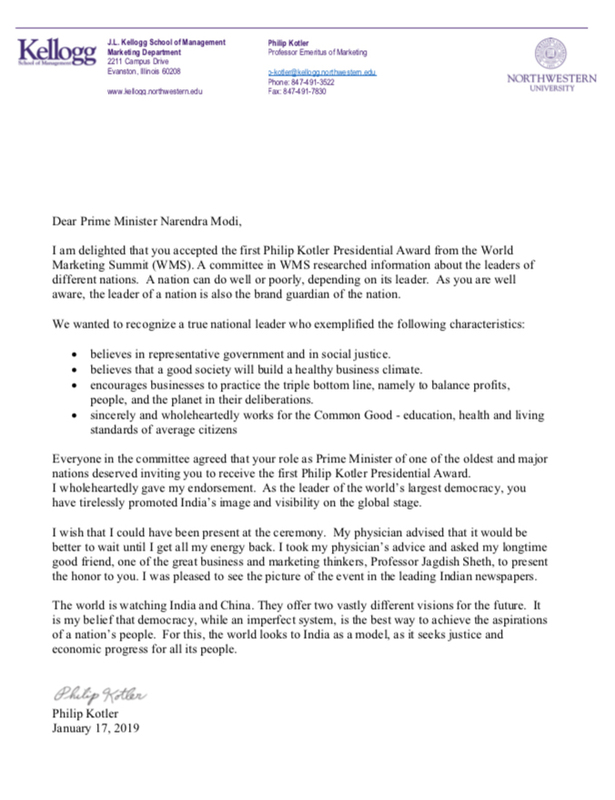 The World Marketing Summit (WMS) just presented India’s Prime Minister Narendra Modi with the first Philip Kotler Presidential Leadership Award. The concept underlying the award is to honor a major public leader who has given new life to democracy and economic growth in that nation. I discuss the thinking behind this award in my interview with The Marketing Journal.